Kendelle Cooper and Ryan Federico tied the knot on March 31, 2018. The couple opted for an indoor ceremony with a start time of 5pm. 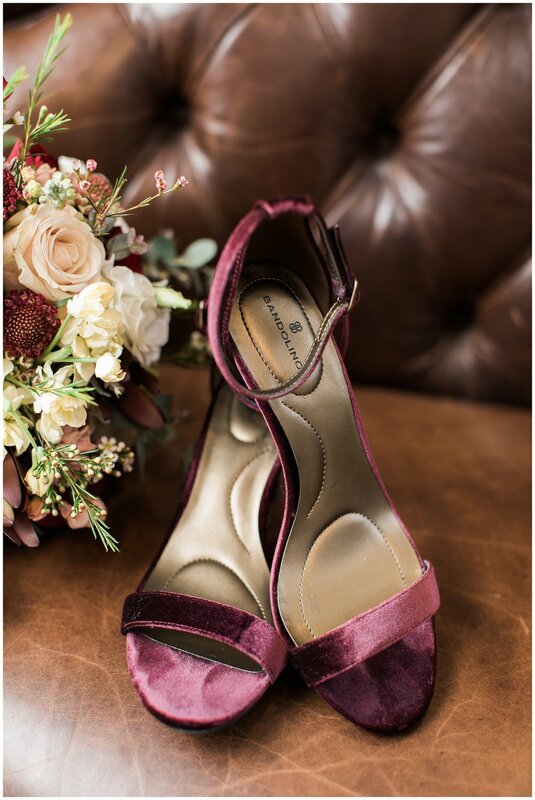 A soft ivory backdrop with an accent of burgundy framed the downstairs ceremony location. After the nuptials, the guests enjoyed a cocktail hour and buffet style dinner. I wanted to take a brief moment to give you our greatest thanks and appreciation. From day 1 of meeting with you, We were confident and comfortable. You have been an absolute delight to work with. Both you and Randy were inviting, accommodating, flexible, patient....I could go on and on with the level of our satisfaction in working with you. There was not one single thing that comes to mind that we were not pleased with. 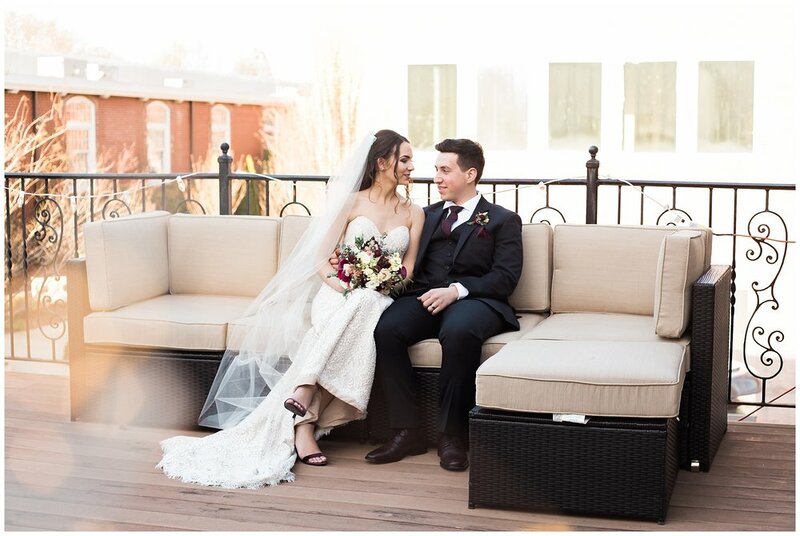 Kendelle and Ryan had the wedding of their dreams, our guests thought everything was amazing and beautiful, compliments were innumerable, and a great deal of that accomplishment belongs to you and your staff. You are at the top of our recommendation list! 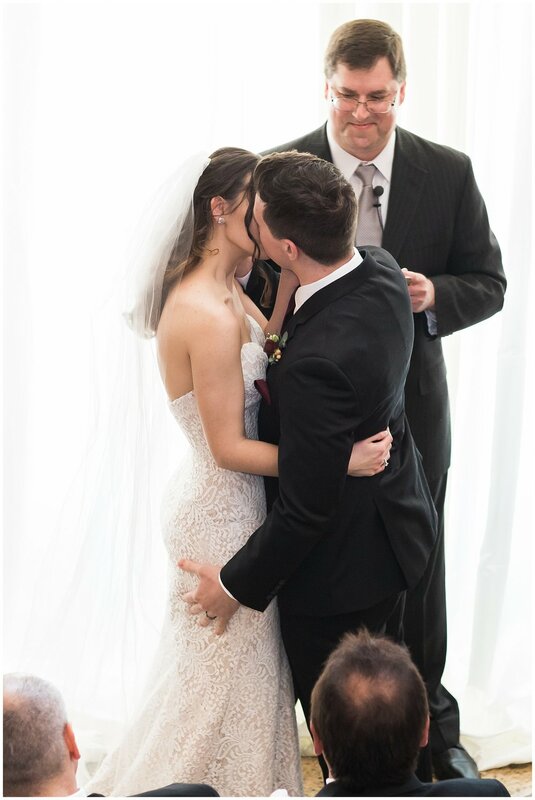 Thank you, thank you, thank you for all that you have done for us and with us to make our children's wedding experience the most memorable time of their lives. 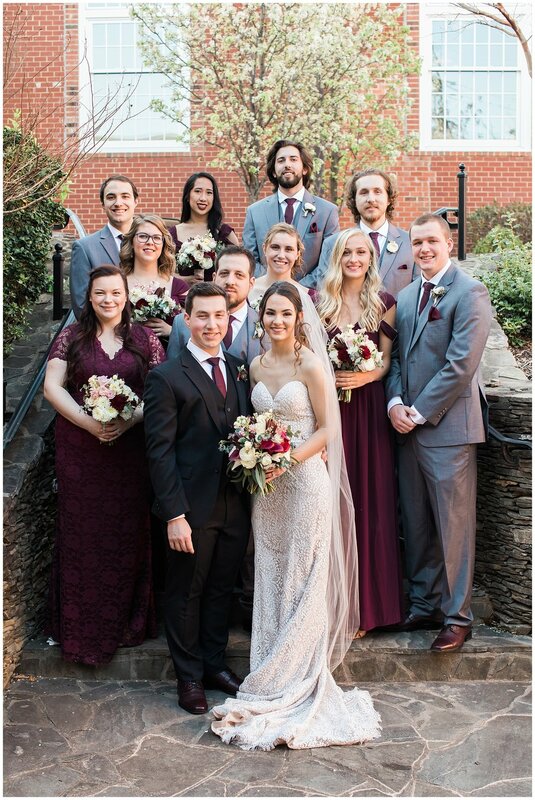 Tiffanee Grindle, Mother of the Bride"
Ryan and Kendelle chose a warm color scheme of burgundy, blush, champagne, and forest green. 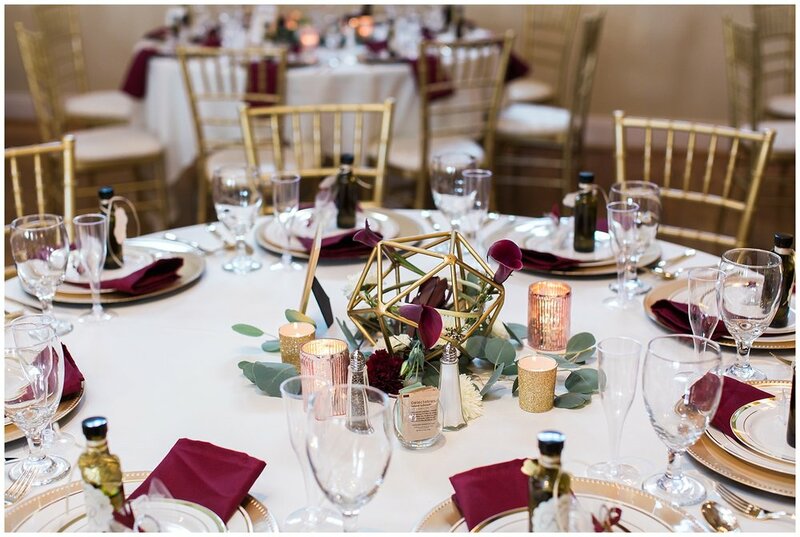 We worked together to design a custom reception layout with a long head table and mixed table shapes (rounds + squares), which added visual interest to the room setup. Ryan and Kendelle kicked off their cocktail hour with a cubed cheese and fresh fruit display. 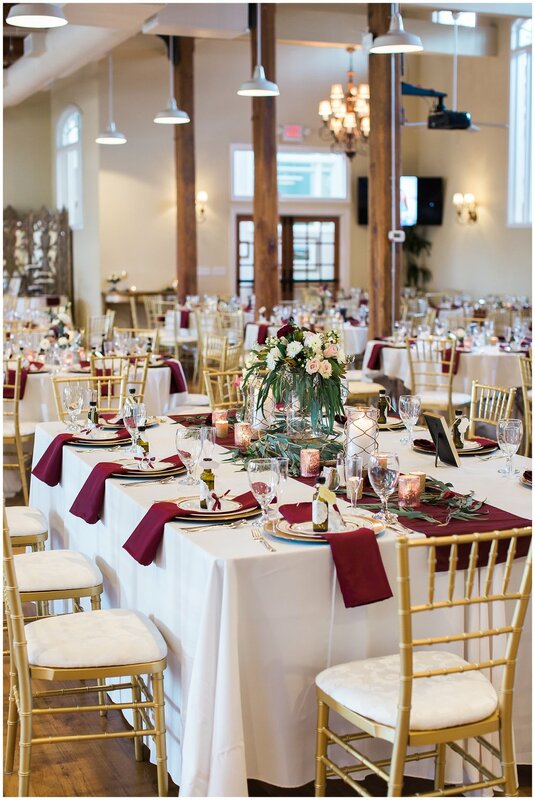 For dinner, they served a buffet of tossed garden salad, parmesan herb crusted chicken and chef-carved roast beef with au jus and horseradish cream sauce. Fresh green beans and smashed potatoes were served up on the side. The couple highlighted their Italian heritage with a selection of Italian petite pastries from Pepper Moon Catering. 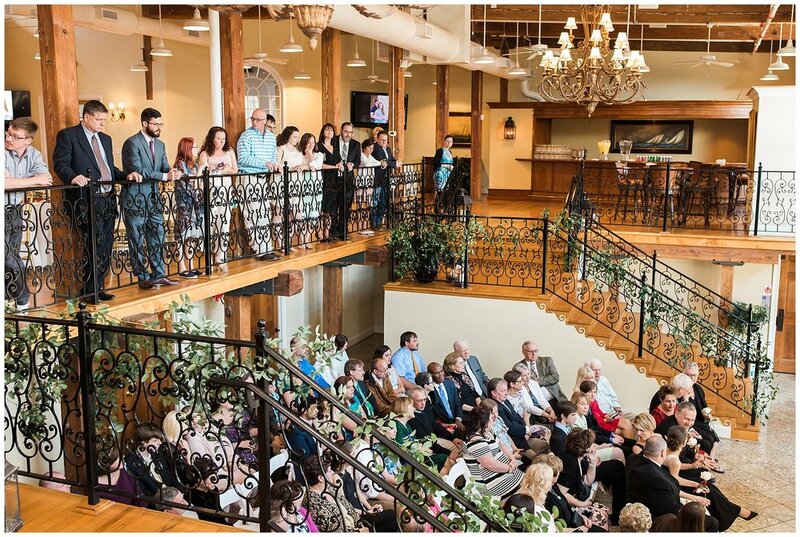 We love sharing photos of your ceremony or event! When you share on social be sure to tag #RevMillEvents or @RevMillEvents so we can share your pictures! Sign-up with your email address to receive news and updates. We respect your privacy. Tours and meetings by appointment only.